The main villain in the 2017 “Spider-Man” reboot might be Kraven the Hunter, if one report this week is to be believed. Umberto Gonzalez, the founder and chief editor of Heroic Hollywood, wrote that his “sources within Sony alerted me to something VERY interesting,” saying that Karen Moy, the Vice President of Creative Affairs at Sony, “purchased a copy of Kraven’s Last Hunt trade paperback on Amazon.” Moy handles the studio’s story department. But here is the kicker. I did some additional sleuthing and a quick search of Karen Moy on the leaked Sony emails database over on Wikileaks reveals that she has previously made book purchases on Amazon for her former boss Amy Pascal. In my experience, where there is smoke there is fire. This can’t be a coincidence. Why would the head of the story department buy a trade paperback about one of Spider-Man’s greatest foes for anything OTHER than research purposes? It’s safe to say Sony is looking into the possibility of Kraven as their bad guy. Kraven the Hunter first appeared in the “The Amazing Spider-Man” in August 1964. Kraven, whose real name is Sergei Kravinoff, is a fanatical big-game hunter who wants to defeat Spider-Man to prove he’s the greatest hunter on Earth. He constantly hunts Spider-Man as “the ultimate prey,” and “Kraven’s Last Hunt” is considered the penultimate story involving the villain. 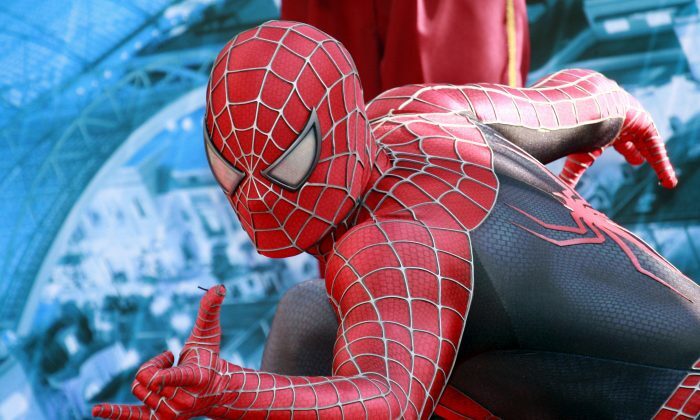 The reboot will be released July 28, 2017, but before that, Spider-Man will appear in “Captain America: Civil War” on May 6, 2016. There were reports swirling around that Scorpion would be the villain in “Spider-Man,” but screenwriters John Francis Daley and Jonathan Goldstein shot down those claims, saying “nothing is certain yet” about the cast, according to IGN.